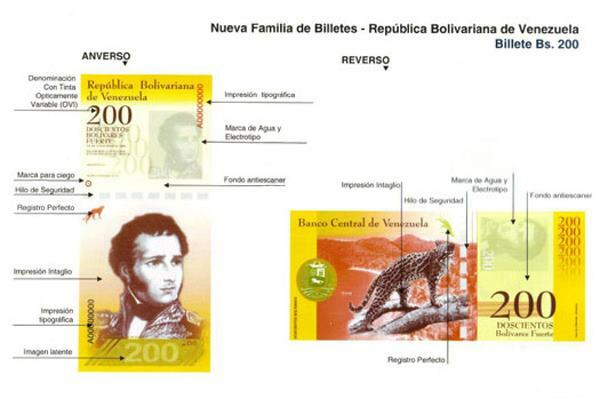 Less than a week after announcing an open tender for bids on security paper meant for printing Bs.50 and Bs.100 bills, the Venezuelan Central Bank (BCV), revealed that they are conducting a study on the merits of issuing a BsF. 500 banknote. That this realization is past-due would be an understatement: the graphic designs and printing sheet for the Bs.500 bill have been ready since 2008, according to an inside BCV source who asked to remain anonymous. And despite its unwillingness to publicize them, BCV has been well-aware of the galloping inflation numbers that have made the issuing of a higher-denomination banknote a super-urgent priority dating back to 2012. The obvious notwithstanding, we decided to give the BCV the benefit of the doubt, and to conduct a study of our own in assessing whether or not the issuing a BsF. 500 banknote makes sense. And, as a well-meaning ñapa for all the BCV’s Captain Obviouses, we’ll even broaden scope of our Venezuelan currency cost-benefit analysis. Based on its composition, the raw, unalloyed, un-minted materials of a BsF 1,00 coin sell for BsF. 9.6, making it completely unviable as a means of currency. Yet, according to BCV reports, the number of BsF. 1,00 coins in circulation went up by almost 90 million in the past year, which suggests that the Casa de la Moneda continues to mint them. Here’s our first suggestion: Stop minting coins; they are not worth the metal they are minted on. I know. It burns. We all loved our new batch of coins when they came out. Look at the bright side, if you had a lot, they’ll be worth more as scrap metal. Accounting for security paper, more than 10 different highly sophisticated inks, printing, transport, and mandatory insurance for 110% of the cargo, printing a fresh BsF.50,00 or BsF.100,00 bill costs about USD 0,04, or BsF. 8,00. This means of course that bills under BsF. 5,00 aren’t worth the paper on which they’re printed. Despite this, BCV sources confirm that a shipment containing 400 million BsF. 2,00 banknotes arrived to Venezuela in May (apparently a whoopsie from someone in BCV, wtf). But here is what’s more dramatic. 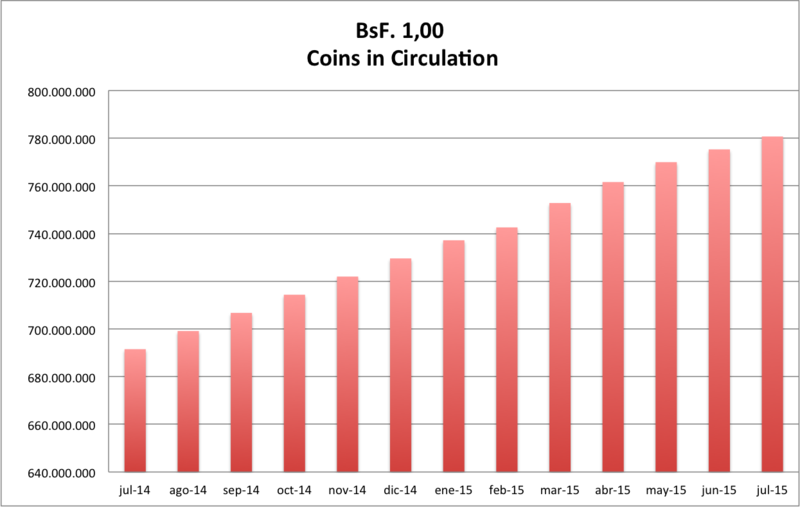 During the first half of 2015, BCV printed 274.7 million BsF. 50,00 bills and a whopping 416.5 million BsF.100,00 bills. These numbers are significant for two reasons: First, the cash-currency cone is inverted. In other words, there are way more high-denomination bills than there are low-denominations bills in circulation: a consequence, as you can imagine of the 3-digit inflation that we are now experiencing. Secondly, it means we diverted nearly 7 million USD in order to print all these bills when we could have printed 5 times less. Last, but not least, the canasta básica familiar is costing around 54,000 BsF. Paid in BsF. 2,00 bills, this would mean a 5.4 meters high stack of bills. This is unpractical to say the least. We know that this isn’t news for the BCV. We know that plans for BsF. 200 and BsF.500 banknotes have been stalling for years. Saying that we urgently need higher denomination bills is an understatement. Saying that BsF. 500 notes will solve our currency issues would be false. The reality is far more dramatic, and it looks like we will need bills that are way higher than BsF. 500 in order to re-balance the banknote distribution onto something reasonable. BCV, don’t settle for the BsF. 500 bill. You have to think big. Literally.